Pet Wellness Provides health care tips for pets. There are frequently asked questions regarding some products commonly used by owners. Pet Insurance Pet Insurance provides a financial safety net for emergencies or unexpected veterinary expenses. It gives owners peace of mind so they can provide the best possible care for their pet family,and not worry so much about the cost of treatment. Dental Health Provides dental health care tips for pets. Dental Care Products A comprehensive list of test products proven to improve pets dental health and help you find the best option for your pet. Companion Animal Parasite Council Mission: To foster animal and human health while preserving the human-animal bond through recommendations for diagnosis, treatment, prevention and control infections. Centers for Disease Control Providing information on diseases you can catch from your pets, and how to prevent transmission. K-Laser -Therapeutic laser treatments for our pets. Helpful in the treatment of many ailments including but not limited to: arthritis, wound care, inflammation, surgical procedures and post surgical healing. ASPCA News Alerts News for maintaining a healthy pet. Dog Breeds Information on AKC recognized breed of dogs such as temperments, exercise needs, diet, and health issues. American Kennel Club Provides breed information, upcoming events and shows, finding a breeder. How to have your dog become a Canine Good Citizen. House Rabbit Society Is an international non-profit organization that rescues rabbits from animal shelters and educates the public on rabbit care and behavior. There are also state and local chapters. Guinea Pig Information Information on the care and health issue of guinea pigs. Includes, diet, housing, emergencies and reference to common medical conditions. ASPCA - Animal Poison Control Center 24-hour emergency hotline for poison control. 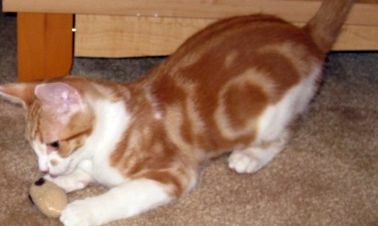 FDA Recalls Stay up to date on pet food and treat recalls to keep your furry friends healthy. Pet FBI Information center for missing or found pets in Ohio. 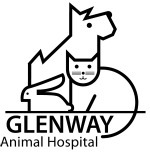 Home Again This is the website for the microchips Glenway Animal Hospital uses. This is where you can update your contact information and report your dog missing. Universal Microchip Search Tool This website allows you to plug in the microchip number from any manufacturer and find the pets owners. All contact information remains private, the results allow you to communicate through the microchip company. Fourgotten Paws Animal Rescue Fourgotten Paws Animal Rescue is a local non-profit, volunteer based organization that rescues animals and finds them loving homes. Check out this link when looking to add a member to your family or to sponsor pets in need. Pet Finder This website offers a comprehensive list of pets looking for loving homes and allows you to search based on age, breed, location, and other variables so you can find the pet that will be the best fit for your family. Hamilton County Dog License Information about purchasing a license for your dog if you live in Hamilton County.